Congrats! 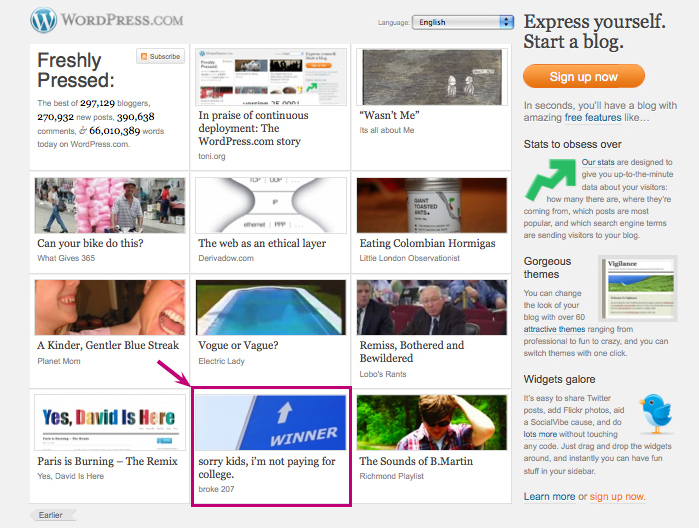 As a fellow user of WP, getting featured is pretty damn cool. I was wondering why you had some many comments yesterday. Congratulations 🙂 That article really deserved mention on ‘Freshly Pressed’! thanks! what about you? have you started a nest egg so that the peanut can go to yale? i’m curious to hear your thoughts! you’re sweet. and thank you very much. i’m hardly famous, but it’s very exciting none the less.